Australia is a place of exceptional natural beauty where ancient rainforests and vast national parks, rugged mountain ranges and reefs, beaches, and waterways, provide sanctuary to Australia’s wondrous wildlife. Exploring Australia’s wilderness is not just about the natural but also about the cultural and spiritual significance of these areas to the Aboriginal custodians and their unique relationship to the land and waters of their country. Australia’s environment is one of the most diverse on earth and its landscape is one of the oldest. Its flora and fauna have evolved in isolation for 45 million years, untouched by the upheavals of the world’s continental plates. The result is a unique, highly specialised and very fragile environment. Hike, snorkel, climb, dine, surf, ski, and fly through some of our most beautiful and awe-inspiring natural wonders, spotting native flora and fauna along the way. Many of our most cherished National Parks and their surrounds that have become known as Australia’s National Landscapes (many of which include World Heritage listed sites). 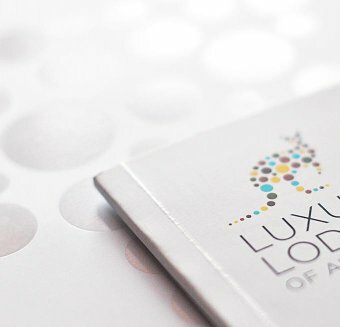 The majority of the Luxury Lodges of Australia are located near or within these landscapes, all of which have been built in harmony with their natural surrounds. 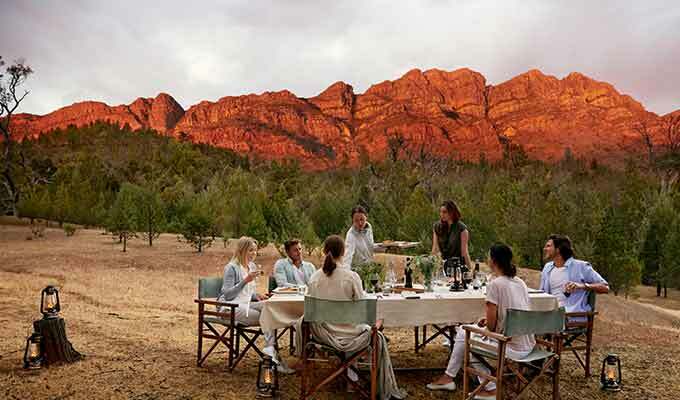 Arkaba, Flinders Ranges - Formerly a sheep station and now a private wildlife conservancy, Arkaba provides the opportunity for guests to immerse themselves in the story of the bush – its ancient geology, diverse wildlife and incredible landscape. Arkaba's wildlife is prolific with Australia’s three largest macropods (Red Kangaroo, Western Grey Kangaroo and Common Wallaroo) all regular sightings. The country’s most endangered macropod, the Yellow-footed Rock Wallaby, has also returned to Arkaba’s range since the introduction of active conservation programs. Bamurru Plains, Top End - Focusing on environmental sustainability and key luxury standards, this nine room camp exudes ‘Wild Bush Luxury’ bringing a touch of style to a remote and extraordinarily beautiful coastal floodplain in the Northern Territory known as the Top End. Cape Lodge, Margaret River - Is a haven for devotees of fine food and wine, but also a luxury base from which to explore the Margaret River region's untamed and accessible wilderness... networks of underground caves, a rugged coastline, squeaky-clean sandy beaches, turquoise water, towering forests and bush and coastal walking trails. 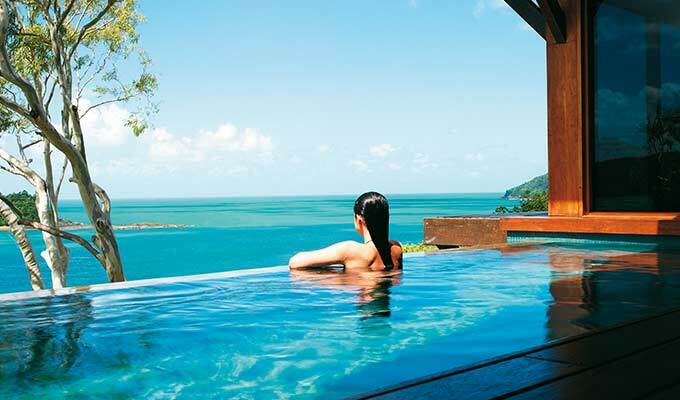 Capella Lodge, Lord Howe Island - An abundance of rare birds, plants and marine life combine to make Lord Howe Island a remarkable destination, with Capella Lodge celebrated as the pinnacle of luxury on this World Heritage listed island. El Questro Homestead, The Kimberley - The variety of ecosystems in the park attracts 100 different bird species including Pheasant Coucols, dancing Brolgas and even the once near extinct Gouldian Finch. Emirates One&Only Wolgan Valley, Blue Mountains - Carefully sited between two National Parks and spread out at the foot of towering cliffs, Emirates One&Only Wolgan Valley is set within its own private conservation and wildlife reserve. The resort itself occupies just two percent of the total land area of 4,000 acres. Saffire, Freycinet - Discreetly positioned overlooking the Hazards Mountains, Freycinet Peninsula and the pristine waters of Great Oyster Bay, Saffire blends mankind and nature with breathtaking beauty. 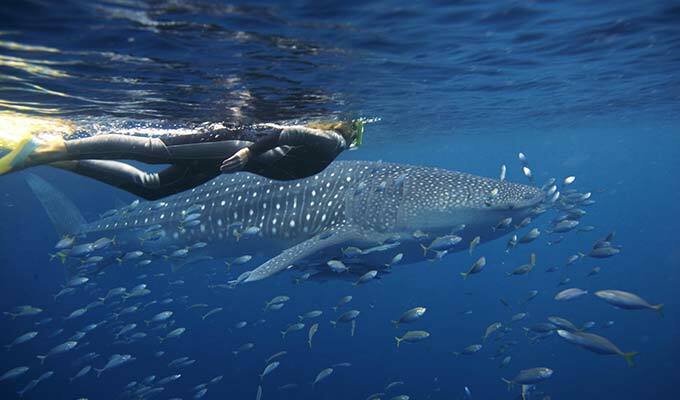 Sal Salis, Ningaloo Reef - Where the outback meets the reef, and the best place on earth to swim with whale sharks, 9 wilderness tents and a team of passionate guides at Sal Salis offer an exclusive luxe wilderness experience. From August 2016, swimming with Humpback Whales will also be a highlight for guests at Sal Salis. Silky Oaks Lodge, The Daintree - Located in a stunning riverside location adjoining one of the oldest living rainforests the World Heritage listed Daintree National Park, there are endless options to explore the diversity of this wilderness destination. Visit ancient refugial rainforests and habitats as well as venturing down the Daintree River marveling at the diverse flora and Birdlife. Southern Ocean Lodge, Kangaroo Island - Sensitively designed to float amongst the untouched coastal drama of Kangaroo Island’s south west coast and commanding spectacular ocean, beach and wilderness views, the celebrated world-class lodge offers a unique fusion of nature and luxury. Spicers Peak Lodge, Scenic Rim - Located on 8000 acres at the peak of the ridge, with breathtaking views of the World Heritage listed Main Range National Park and Scenic Rim, Spicers Peak Lodge is Queensland’s highest mountain lodge retreat. True North, The Kimberley - The True North's purpose built design allows access to wilderness that is well beyond the reach of larger ships – in fact in most cases “you need only step through your cabin door” to experience wilderness. Multiple expedition boats and a ship’s helicopter deliver guests to the very heart of wilderness. 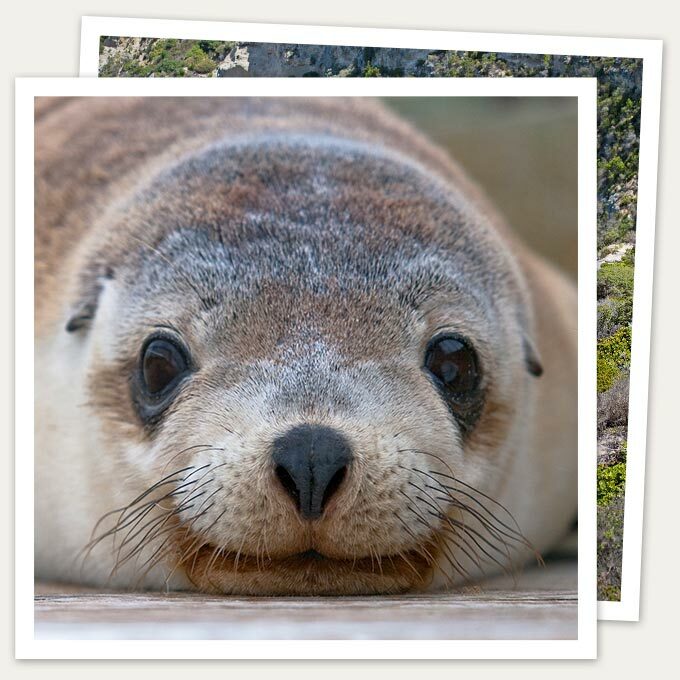 Australia has more than 20,000 plant species and 2,300 animal and bird species. Most of these are only found in Australia. The fauna of Australia consists of a huge variety of strange and unique animals; some 83% of mammals, 89% of reptiles, 90% of fish and insects and 93% of amphibians that inhabit the continent are endemic to Australia. This high level of endemism can be attributed to the continent's long geographic isolation, tectonic stability, and the effects of an unusual pattern of climate change on the soil and flora over geological time.